It was a defining moment for Chinese Olympic fans when shooter Zhang Mengxue won the country’s first gold medal on day two of the 2016 Rio Olympics. Yet the pride and excitement soon turned to rage, after Chinese fans spotted flaws in the national flag being raised above the podium. The four smaller stars on the flag, it turns out, were mispositioned due to a printing mistake. The error is subtle. Instead of being slightly tilted with their tips pointing towards the large star in the center, the tips were aligned in parallel. The same mistake was observed after Long Qingquan won a gold medal in weightlifting on Aug. 8. “The flag is a national symbol. No mistakes are permissible!” declared China Central Television on Weibo. Adding irony to the anger was the awkward fact that the flag itself was made in China, according to China Central Television. 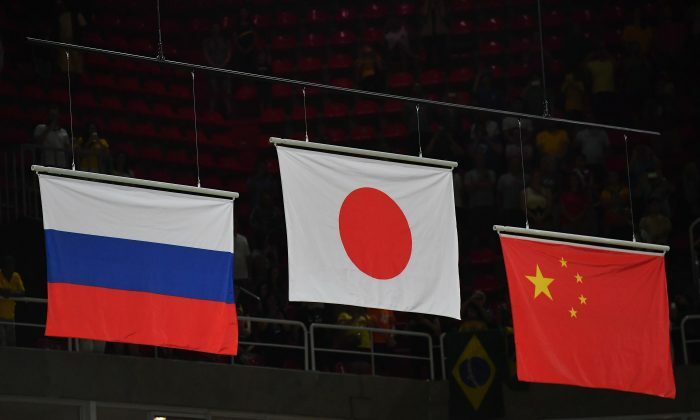 “All the national flags that will be hoisted during the ceremony are made in China,” it gushed in a report about how the “made in China” brand was the “winner” of this Olympics. “I am not being picky because of obsessive compulsive disorder, but this is the national flag,” Cui Yongyuan, a well-known television host, wrote on Weibo, according to a translation by South China Morning Post. “It is a principle that even primary school students could understand.” The post soon attracted over 54,000 likes from indignant web users. “I am also Chinese, how can I make the wrong national flag?” said the company spokesperson, in an interview with Beijing Youth Daily. The Chinese consulate general in Rio stated that a third-party supplier outside of China was responsible for the mistake, according to a post on the consulate’s official Weibo on Aug. 8. This claim contradicts that of the national, state-run broadcaster. According to that report, the mascots, weight-lifting equipment, volleyballs, and cheerleading light sticks are all from Chinese firms. The executive director for Communications of the Rio 2016 Organizing Committee, Mario Andrada, was consoling in an interview with CCTV. “You know that we need a lot of Chinese flags, because your athletes perform really well and we have a lot of ceremonies,” Andrada said. Andrada added that they are “checking with the supplier if they did something different than the one that has been approved by the Chinese,” as well as the possibility of replacing the ill-printed flags.